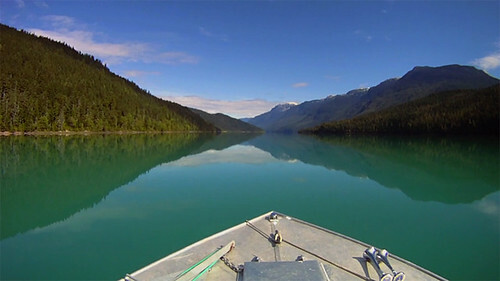 Explore Wells Gray Country by boat! BC Field Reporter Chris Wheeler journeys through British Columbia’s 4th largest provincial park and gets soaked by whitewater rapids before taking an amazing boat tour down Clearwater and Azure Lakes! Wells Gray is a spectacular place that you must see for yourself! Sightseeing amazing Azure Lake during a boat tour! Click here to see another video showing off the Waterfalls of Wells Gray! Wonderful blog you have here but I was curious about if you knew of any mesasge boards that cover the same topics talked about in this article?I’d really love to be a part of online community where I can get comments from other knowledgeable individuals that share the same interest. If you have any recommendations, please let me know. Bless you!